ONE OWNER!!! NISSAN QUALITY LOW LOW MILES GREAT MPG!!! 2010 NISSAN ROGUE S AWESOME SUV!!! SPORTY NISSAN QUALITY, DEPENDABILITY AND PERFORMANCE!!! EXTRA CLEAN. 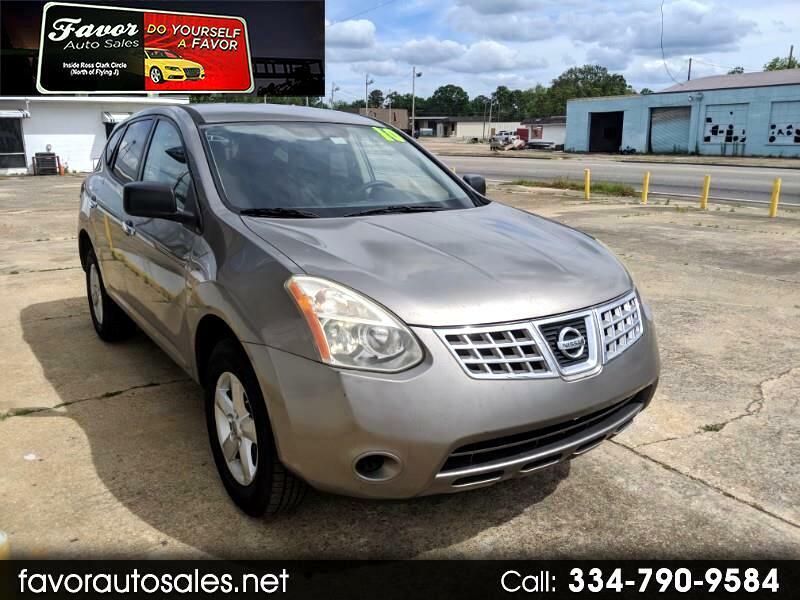 DON'T SPEND MORE ON AN OLDER ROGUE WHEN YOU CAN DRIVE THIS AWESOME 2012 NISSAN ROGUE S!! YOU WILL FALL IN LOVE WITH THIS AWESOME SUV!!! COME DRIVE THIS BABY HOME TODAY! COME SEE US AT OUR NEW LOCATION 1147 SOUTH OATES ST. REMEMBER THAT AT FAVOR AUTO SALES YOU ARE APPROVED!!! WE HAVE A GREAT SELECTION OF USED CARS, TRUCKS AND SUVS AVAILABLE. AND ALL OF OUR CARS CAN COME WITH THE OPTION OF A 2 YEAR/24K MILES POWERTRAIN WARRANTY AND GAP INSURANCE PROTECTION. Visit Favor Auto Sales online at www.favorautosales.com to see more pictures of this vehicle or call us at 334-790-9584 today to schedule your test drive.